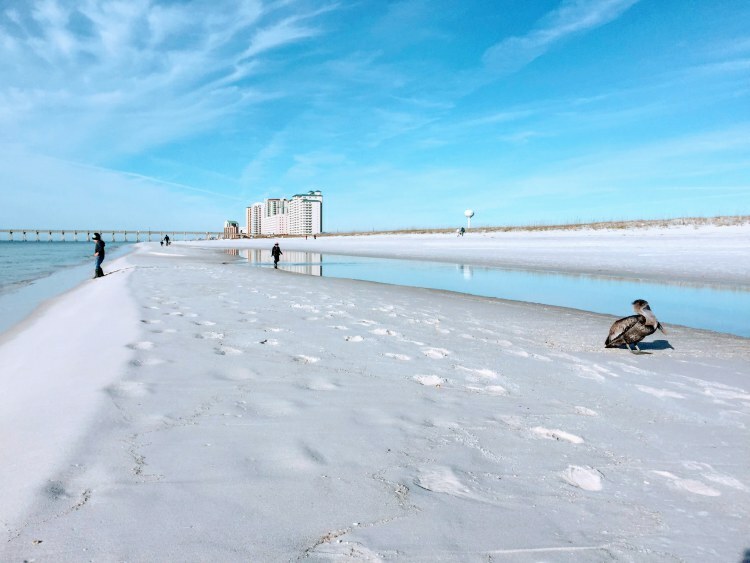 It takes a lot of work to keep Florida’s beaches looking great. 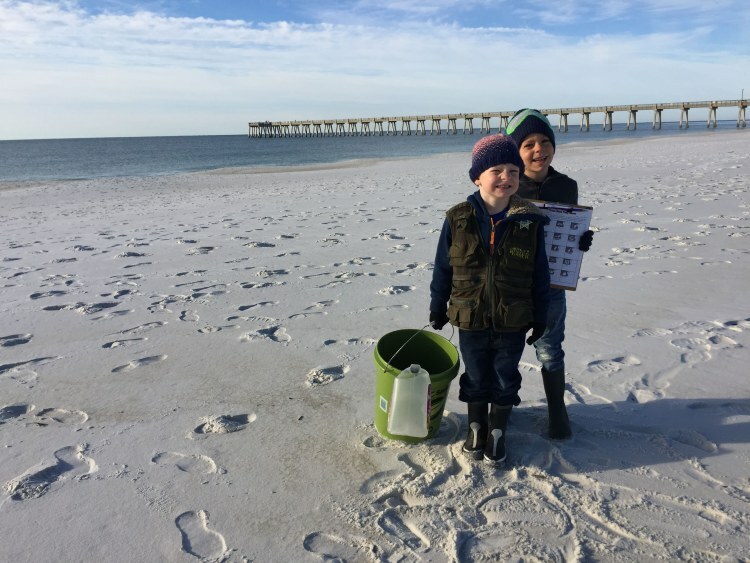 Here, in Navarre, FL the monthly Trash Bash, run by the Navarre Sea Turtle Conversation Center, makes beach cleanup fun. 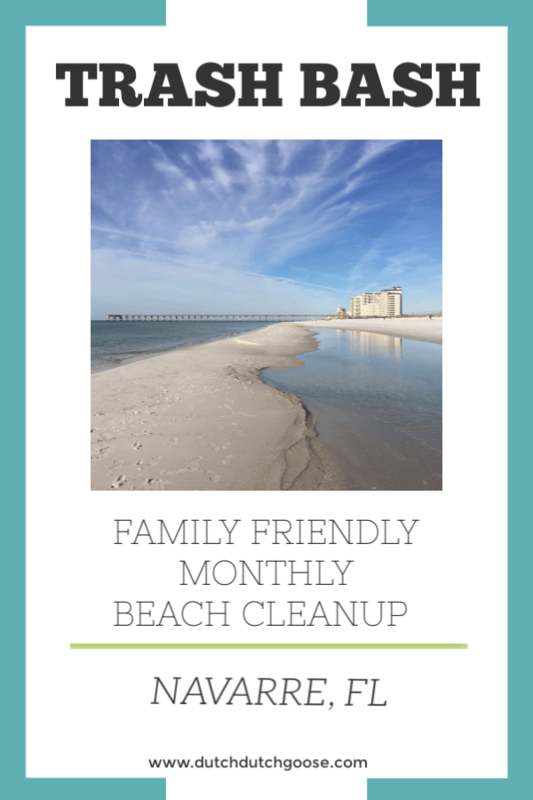 Picking up trash is one of the kids’ favorite things to do, so we marked our calendar for January’s cleanup and vowed to make it a monthly family event. 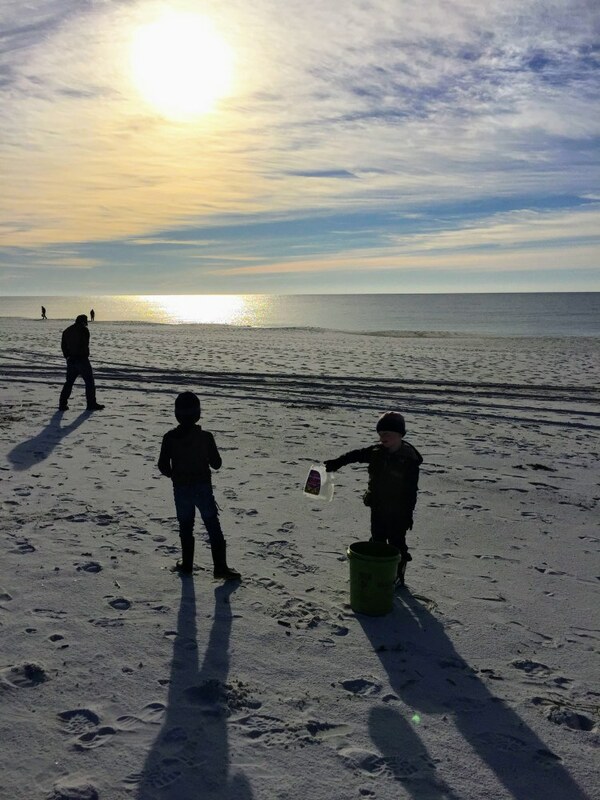 The Trash Bash beach cleanup runs between 8am and 10am one Saturday a month. You meet in the Navarre Beach Parking lot. You won’t miss the crowds! 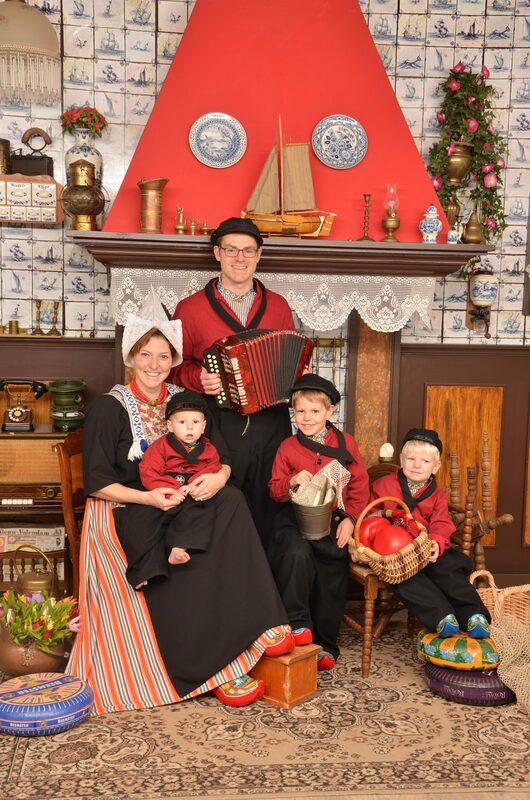 You do not need to sign up in advance making it perfect for visitors and locals alike. 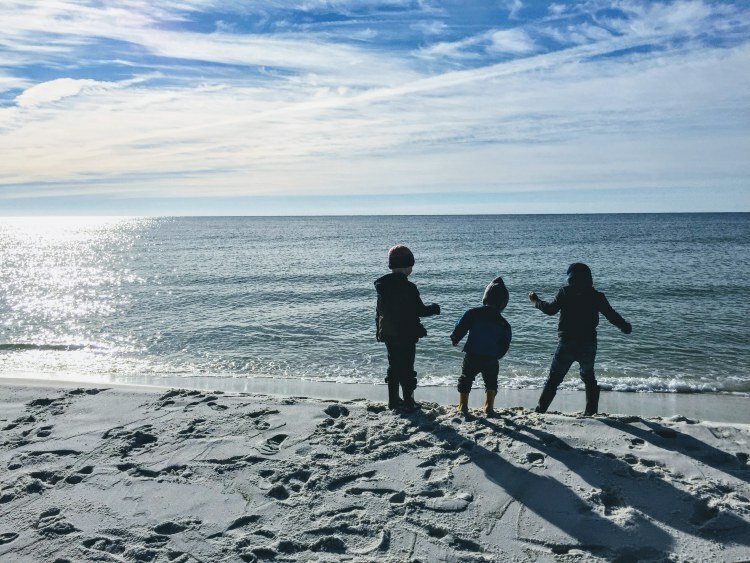 In order to participate you sign in with the Navarre Sea Turtle Conversation Center and let them know the size of your group. They distribute buckets, gloves and clipboards for each small group. (They have a limited number of trash grabbers for early arrivers.) The staff is so friendly and happily explained to our littles why trash pickup was so important. Then we were on our way. As you complete the beach cleanup you call out what type of trash you found while someone in the group marks it on the clipboard. 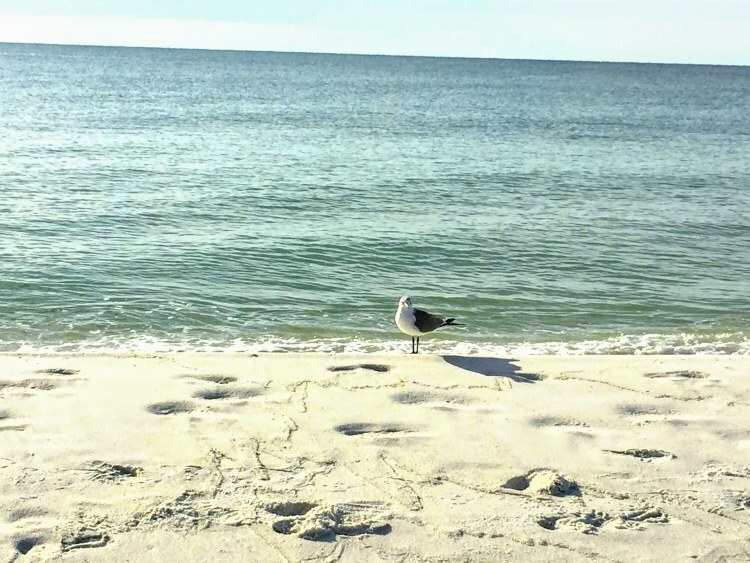 This helps keep track of what sort of trash problems they are encountering on Navarre beach. We stuck to the high water line and found a variety of trash, but boxed juice straw wrappers topped our list. 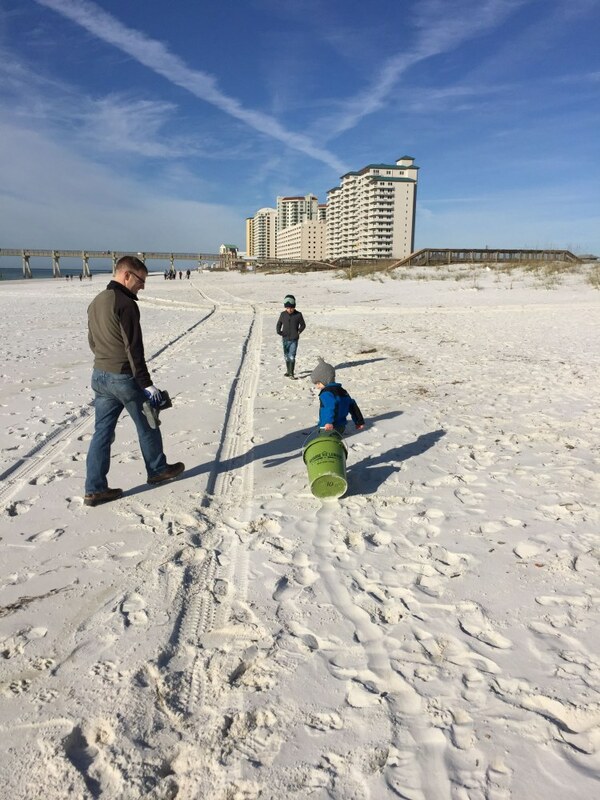 Depending on what area of the beach you pick the trash will vary. There were a few military base squadrons participating this month. They headed to the sound side and came back with buckets full of bottles and large trash. On the beach we found mostly cigarette butts and other small trash. Although there are lots of people on the beach for the cleanup, pretty quickly people spread out and you feel almost alone on the beach. While our focus was on the trash, we also took the opportunity to scout some wildlife as well. 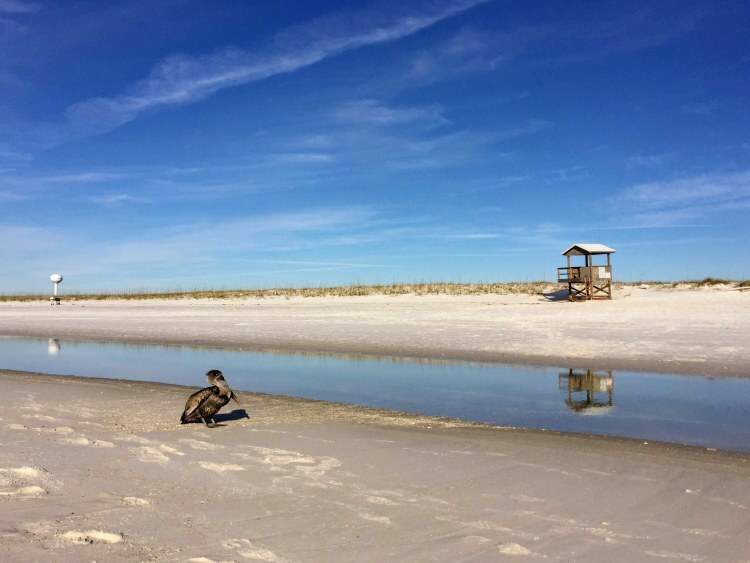 The beach was quiet and this pelican was happy to hang out as we searched the area for small trash. The boys can’t resist getting in the water, so we know to always dress them in boots or other water shoes. We also did a fair amount of searching for shells, because we cannot help ourselves with so many beautiful shells on the beach. 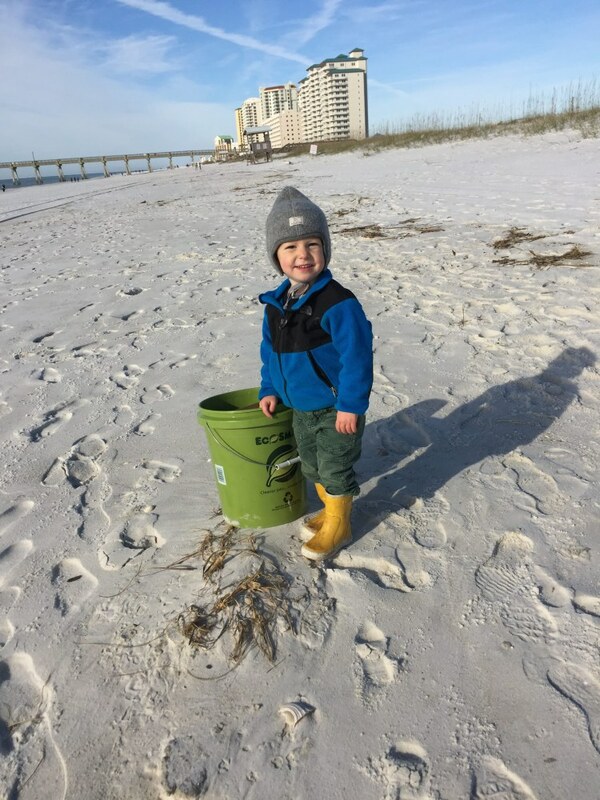 The Trash Bash is a great excuse to get up and get out on the beach early in the morning. 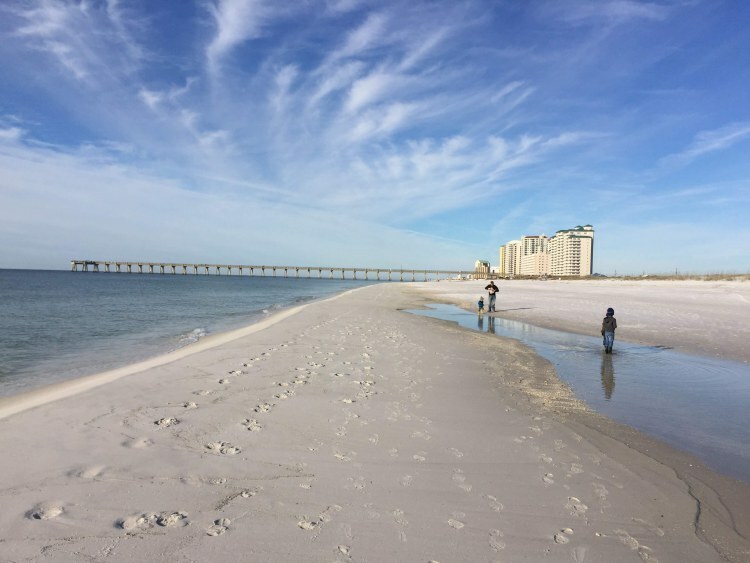 You get some exercise, pick up a bit of trash all while enjoying beautiful Navarre Beach. 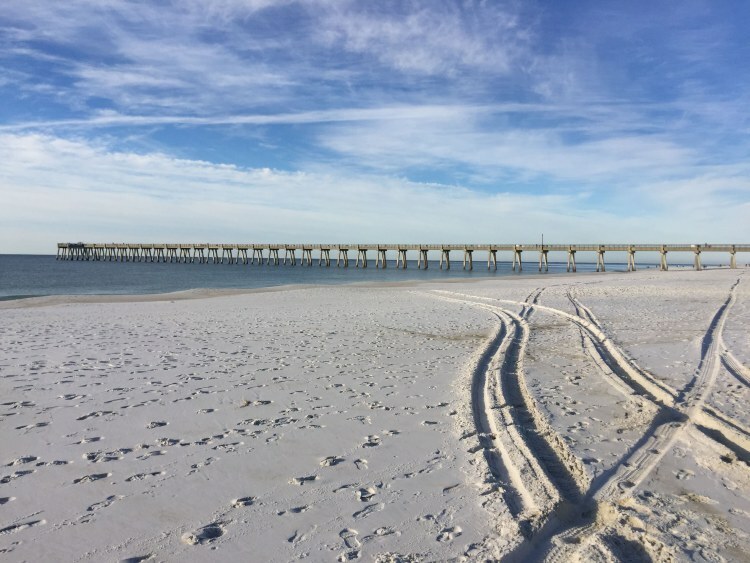 To stay up to date with Navarre Beach Trash Bash dates, follow the Navarre Beach Sea Turtle Conservation Center on Facebook. We hope to see you at the next one!